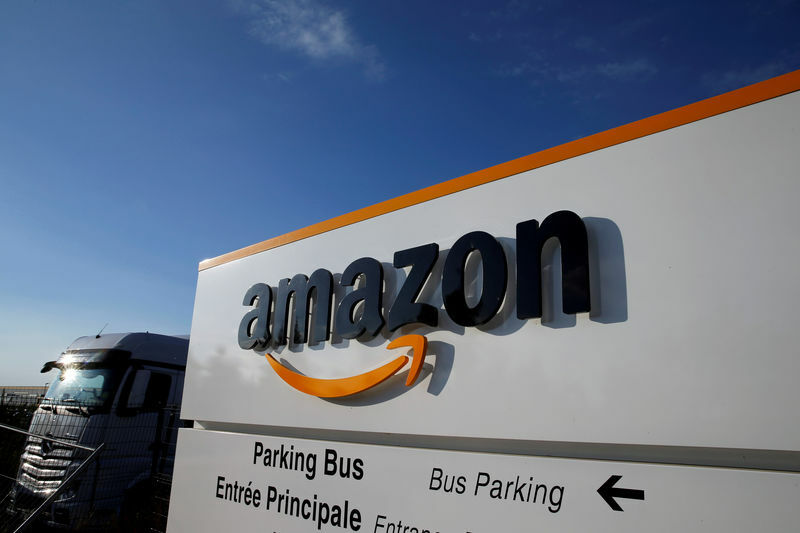 (Reuters) – Shares of Amazon.com Inc (O:) fell 10 percent in trading before the bell on Friday after its sales outlook missed Wall Street targets, fanning concerns that the online retailer’s expansion may finally be losing steam. The fall in shares, if replicated when U.S. stock markets open officially, would knock nearly $90 billion off Amazon’s market value and relegate it behind Microsoft Corp (O:) and Apple Inc (O:) in terms of market value. “Shares are up 52 percent YTD, hence this kind of ‘growth scare’ is likely to weigh on sentiment in the near term, but ultimately will work itself out (likely by 1Q19),” Barclays (LON:) analyst Ross Sandler wrote in a client note. The world’s largest retailer is facing hurdles to boost sales in international markets as well as increased competition at home from the likes of Best Buy (N:), Target Corp (N:) and Walmart Inc (N:), who are stepping up digital investments.